Exhibit at the Maritime Museum of B.C. highlights the largest accumulation of ocean plastic and human-made debris in the world. The Maritime Museum of B.C. hopes a closer look at the largest accumulation of ocean plastics and human-made debris in the world will help change people's habits. 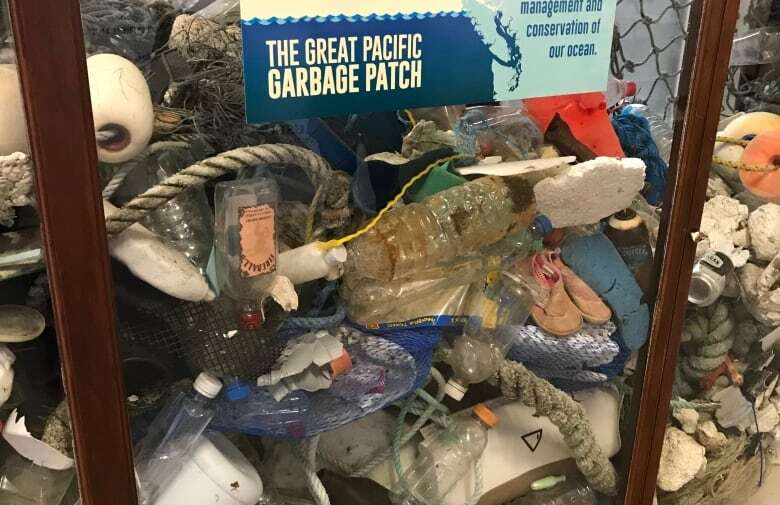 A new exhibit calledThe Great Pacific Garbage Patch explores a floating collection of plastic trash and debris. It is found in the Pacific Ocean between California and Hawaii. "It's basically like a big whirlpool," said Brittany Vis, associate director for the museum. "So that is what has sort of grabbed all of the marine debris into one distinct area." The floating patch of garbage covers a surface area twice the size of Texas and includes an estimated 3.6 trillion pieces of debris. 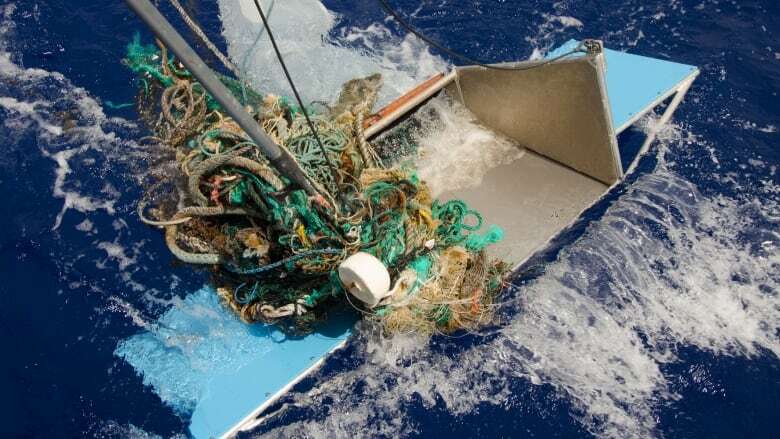 It's also one of several similar garbage patches in oceans around the world. Because plastic is less dense then water, it does not sink. Once items become trapped in the garbage patch by currents known as a gyre, they eventually degrade into smaller pieces of microplastic. 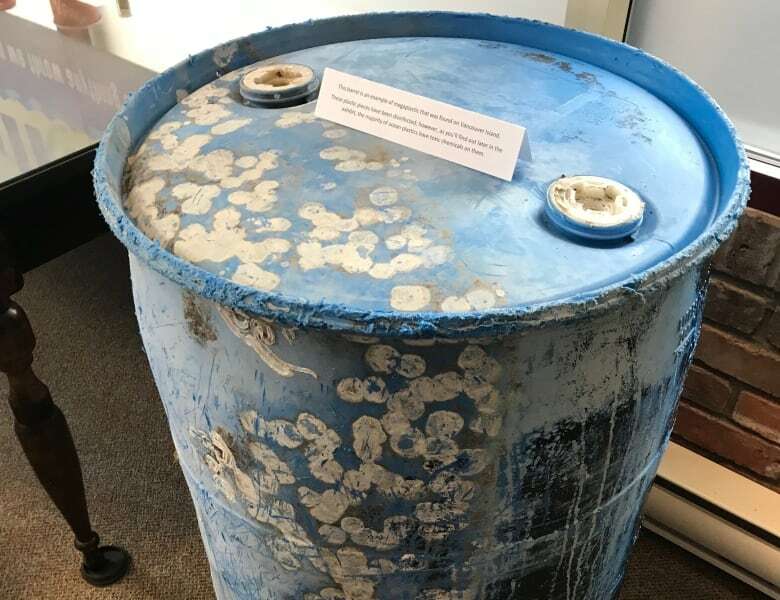 While much of the debris is believed to come from Pacific Rim countries without proper landfills, the consumption habits of North Americans are also to blame, said Calvin Sandborn, legal director at UVic's Environmental Law Centre. "Recycling is not the answer. It gives us an excuse to continue with the wastefulness. We have to actually reduce use of plastic," he said. "We have to fundamentally change and just stop with the throw-away society." 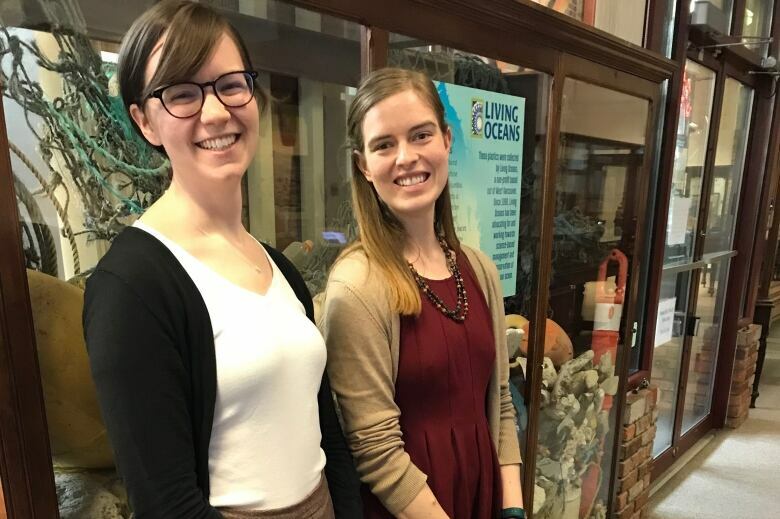 The aim of the exhibit at the Maritime Museum is to convince people to make changes in their daily lives, such as reducing their use of plastic, Vis said. "We thought it was a worthwhile to explore how humans have been treating our oceans and what has led to the situation we see today," she said. "Hopefully, they will feel inspired to make changes in their personal lives that will help to better the situation."